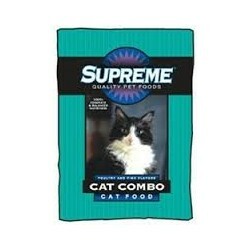 Pet Food There are 27 products. To support their rapid physical development, small breed puppies require a diet rich in proteins and fats from a diversity of meats. 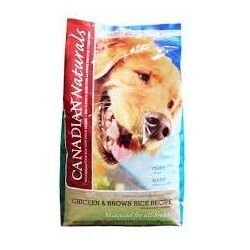 Canadian Naturals is seasoned with a host of herbs and supplements and is designed to meet a dogs nutritional needs from puppy to adulthood. 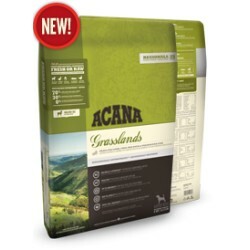 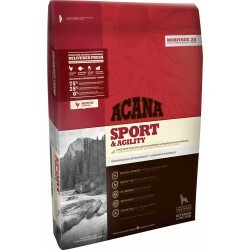 Acana Sport & Agility Dogfood Whether herding sheep or jumping high at fly ball, sporting dogs require a diet rich and varied in fresh meats, proteins and fats for sustained activity and endurance. ACANA Adult Small Breed is loaded with free-run chicken, wild-caught flounder and whole nest-laid eggs, delivered FRESH in WholePrey™ ratios, so they’re brimming with goodness and taste. 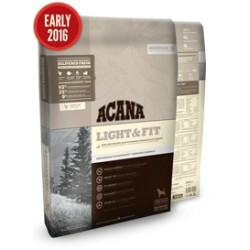 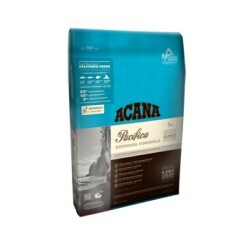 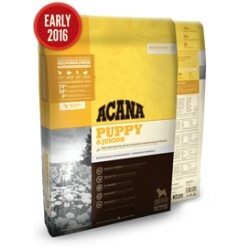 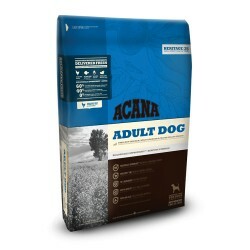 Free of grains and fast carbohydrates such as rice, tapioca or potato, ACANA is rich in meat proteins to promote your dog’s peak health and conditioning.